Hitron is pleased to launch Corrosion Buster series for on& off shore application. Various product range from Network to HD-Analogue will fulfill your requirements on 316L stainless steel solution, and not only PTZ range, miniPTZ and even compact bullet is availble. 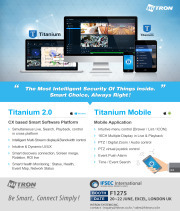 Titanium Mobile makes you access the whole Hitron video devices anywhere. It allows live monitoring, playback, control, set-up like portable CMS. Supporting Android and iOS platform carries user-friendly interface everywhere. 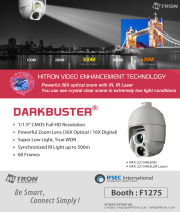 Not only traditional dome, bullet and box camera, Hitron also has solution for speciality cameras for various application. Mini square camera is one of them. Hitron is proud to release 2nd verson of client - Titanium v.2. 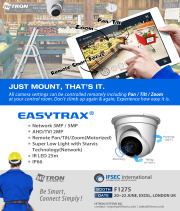 Its simple, intuitive but smart platform based on customer experience provides easy and smart control on the system. 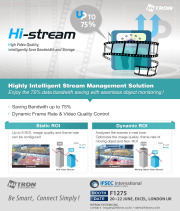 Hitron DarkBuster supports the longest IR distance up to 500m and colour images in extremely low light conditions thruough Hitron Video Enhancement Technology. Hitron NVR's smart Virtual Matrix function will allow you to setup cost effective solution without additional PC installation. "The Most Intelligent Security of Things Inside. 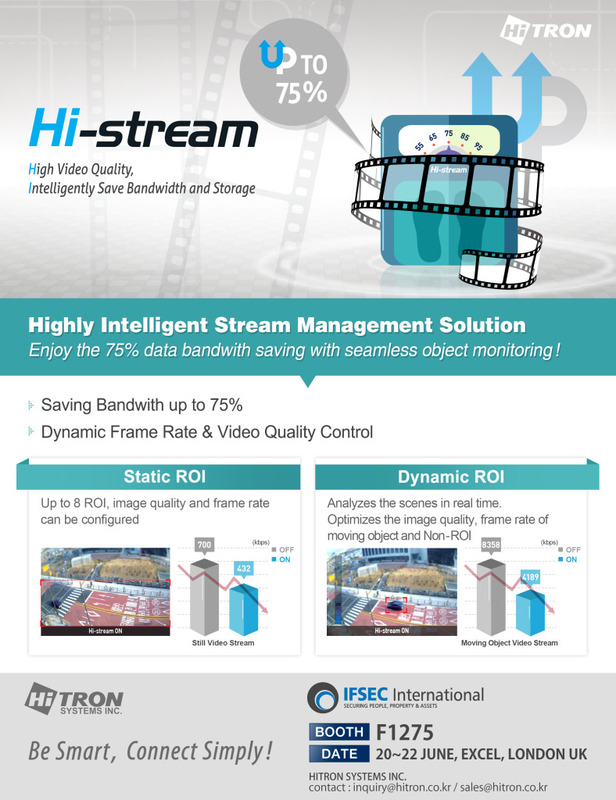 "Highly Intelligent Stream Management Solution"
Enjoy the 75% data bandwith saving seamless object monitoring! All camera settings can be controlled remotely including Pan/Tilt/Zoom at your control room. Don't climb up again & again, Experience how easy it is. 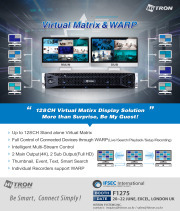 "128CH Virtual Matrix Display Solution More than Surprise, Be my Guest!"